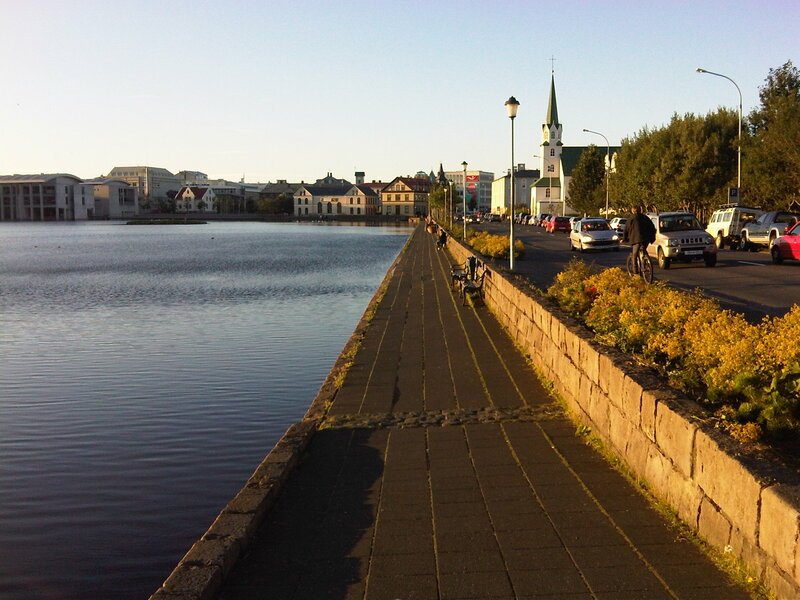 Walking through ‘Hljomskalagardurinn’, the little park by the pond in the centre of Reykjavik, earlier this evening the city seemed to be at the heart of Southern Europe: the temperature is around 20 degrees and the sun is still shining now just after 9pm. 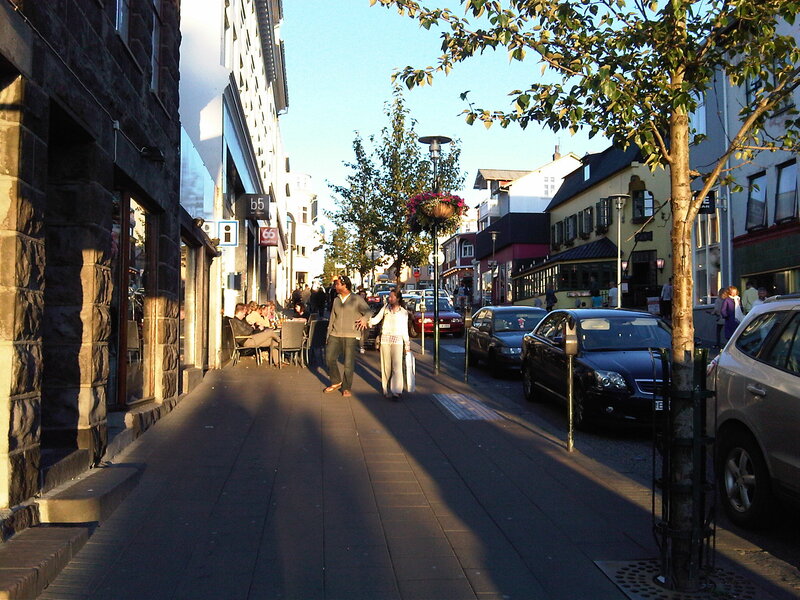 Every city shows its best side on a sunny summer evening but I don’t know any city that so much opens up and spreads out its charm as does Reykjavik on a evening like tonight. Especially because the inhabitants, not always caressed by the elements, show their uninhibited appreciation of their good luck and turn very cheerful. Even the ducks and geese swim merrily in the saturated colours. And Bankastraeti, ‘Bank Street’, could be San Francisco.